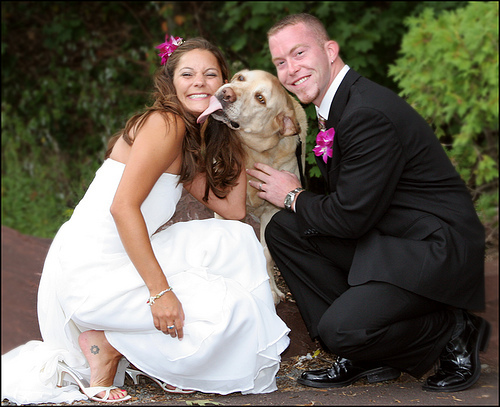 Bella’s House and Pet Sitting is making it possible for you to include your fur kid in your wedding now. Whether it be to walk down the aisle or there for pictures we can make ALL your wedding dreams come true. Don’t leave the kids at home! We have three packages for you to choose from or we can built a customizable one to fit your needs. Brides and Grooms can choose from the Maltese, Golden Retiriver, or Mastiff packages. Please email: info@bellashouseandpets.com for more information and your FREE consultation. I would like more info on your pet wedding attendent program. My fiance would lOVE this!Please email me your packages as I am currently traveling for work for the next 3 weeks! Please call me at 4803304552 so we can discuss this! There are a lot of factors that go into it Lets chat!